If you need a local plumber today for fast reliable service to repair a leaking toilet or dripping tap you can always rely on the plumbing experts from Curl Curl Plumbing to make sure the job is repaired right the first time. We are here to help with all your plumbing enquires no matter how small. Curl Curl Plumbing Technicians have extensive experience in helping you in a wide range of bathroom solutions. From repairing leaking taps and toilets, vanity replacements or installing a new toilet suite, we will be able to offer advice to suit all budgets and styles. 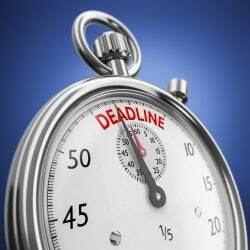 You will also get our 3 point guarantee on all work. Are you suffering a gurgling or slow draining toilet? Worry no more Curl Curl Plumbing are the Blocked drain experts with all the latest drain cleaning equipment to clear the most stubborn of blockages. Q: What can cause a toilet to block? It can be a couple of things depending on the location and plumbing of the toilet. 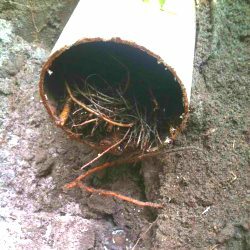 If on the ground floor it is most likely tree roots but could be a paper blockage commonly known as a soft blockage. If toilet is located on the second floor or above it is more likely to be a soft blockage. This could be paper or a foreign object. It is common for the toilet odorizer that clips on the side of your bowl to fall in and be flushed down the drain and become caught on the s trap or bend. The biggest cause to excessive water bills in the home is a leaking toilet. One way to check if your toilet is leaking is put a few drops of food coloring into your toilet cistern. Do not use the toilet for 1 to 2 hours and come back and check the bowl for colored water. If the water is coloured this means water is continuing to drip from the cistern to the toilet bowl. 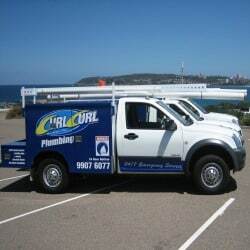 Curl Curl plumbing carry parts to repair 90% of the toilets that are installed in Sydney households. 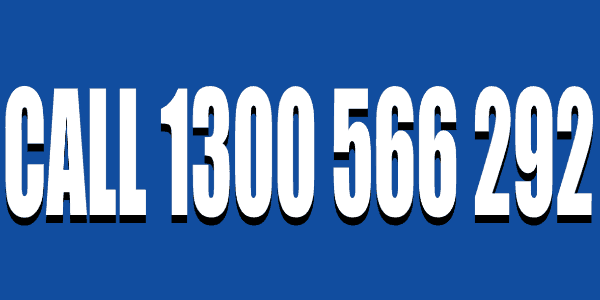 You also get the ultimate Sydney plumber guarantee on all leaking toilet repairs. Click to see the Ultimate Sydney plumber guarantee. Q: What does it mean when water continually drips into the bowl? This means the inlet valve, the outlet valve or both need to be replaced or serviced. Do you have high water bills? Are you kept awake at night by a noise toilet. Call the professional bathroom plumbing team to have a qualified technician show you how to save money and up grade that old cistern for a new dual flush cistern with the latest whisper quite technology . These cistern come in arrange of designs to suite any budget. Satisfaction guaranteed if your not happy we will do the job again until you are happy. Give your bathroom a lift with the latest design in modern bathroom ware. The designer toilets are water saving with great quiet clean flushing performance. 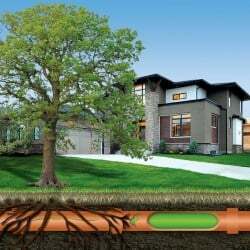 Curl Curl Plumbing will take care of the whole job from remove , supply and install. Call now to make a appointment to speak to one of our friendly qualified technicians. Click to read why so many local home owners trust Curl Curl Plumbing. 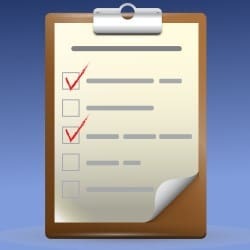 Q: What do I need to consider when getting a new toilet suite? There are a few things to consider when choosing a toilet suite to replace your existing suite. Firstly, is the waste pipe an S trap or P trap? Secondly, what is the set out of the waste pipe? This is the distance of the waste pipe from the wall to the center of the pipe or from the ground up to the center of the pipe. Thirdly, what is the entry point of the water? Is it a bottom or back inlet? Q: Are all new toilets water saving toilet suites? Yes In Australia you can not sell a toilet with out it being WELLS approved. When it comes to leaking taps you can have peace of mind that Curl Curl Plumbing will take care in there work and have a high attention to detail to get a result that you would expect from a award winning team. 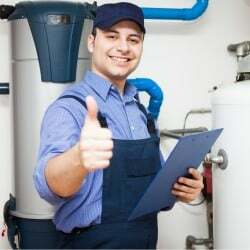 All taps serviced come with the unique Sydney plumber guarantee. That write we will fix it right the first time or we fix it free. Q: What do you do when servicing a tap? There are three main things. First is cleaning and re-seating the seat. Second is pulling apart the spindle, replacing the “O” ring, cleaning the thread and re greasing. Third is supplying and installing a heavy duty washer. Add value to your home by upgrading your taps in your vanity, bath, basin & shower. Choose from a range of European designer tap ware. Our technicians are the best in the business. They will help you choose the most suitable tap for your bathroom and will give you a honest up front price. Only when you are happy they will get started. Q: If taps are hard to turn on and off do you need to replace with new taps? No, not always. It does depend on the age and the quality of the tap. A lot of the time the tap can be pulled apart and cleaned. This can be as simple as a plunge to get the blocked drain flowing again and is always a good place to start. If this does not work Curl Curl plumbing have the latest in drain technology to find the cause of the blockage and clean out the drain. The qualified technician will always give you a permanent solution to prevent future blockages. Q: How do you plunge a drain? First you need a small plunger. Next you put some water in the drain until the drain starts to back up. Put the plunger over the drain outlet and push up and down on the plunger trying to push the force of the water down the drain outlet. Try not to force the water out the side of the rubber on the plunger. When successful the water should flow away. When it comes to retrieving valuable position Curl Curl Plumbing uses a unique technology and tools to help retrieve the most valuable rings, necklaces and earrings. We have even been known to pluck out the odd toy. 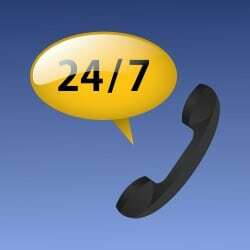 Curl Curl Plumbing are only a phone call away to help you in those stressful situations. Q: If I dropped an earring down the basin drain will it be gone forever? There is a good chance that it should be in the trap under the sink as long as you have not flushed too much water down the drain. Curl Curl Plumbing carry one of the largest ranges of taps and accessories for your convenience. We cater for all your needs, starting from the economy range, through to our designer range, and products in between. All bathroom plumbing products come with a 12 month warranty, as well as our lifetime warranty on labour. This means we will do the job right, the first time!